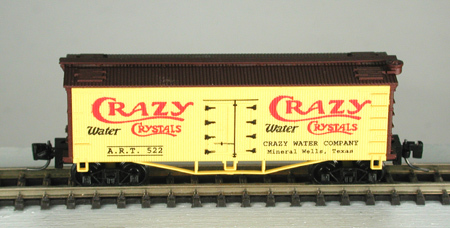 Bowser Custom Work: Bowser has produced a custom ine of cars in Z Scale for PennZee and Father Nature which include a 100 Ton 3 Bay Hopper, 34 foot Wood Reefer and a 40 foot Steel Reefer. We designed the tools, made the tools, produced the plastic parts, painted and than lettered the cars. We can do the same for you in any scale. Below are some of the cars we have made.